At Mid-Land Enterprises, we strive to provide our Team Members a safe work environment. 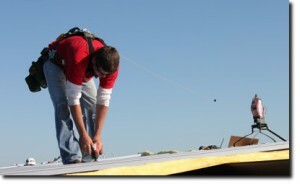 Through ongoing safety training, advances in fall protection systems, and 100% tie-off policy we show our team members that their safety is our top priority. Mid-Land continues to take a proactive approach to safety and makes significant investments in the necessary equipment to obtain a zero injury work place. Safety in the workplace is the top priority for Mid-Land Enterprises. 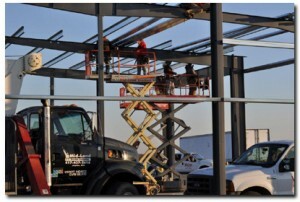 At Mid-Land Enterprise our goal is to be the best Erector, Building supplier, Millwright, Awning/Canopy and Service Work provider in the Midwest. To reach our goal we have developed training programs that provide our team members the opportunity to develop new skills. Our training curriculum is designed to improve and teach various aspects of our industry which include OSHA 10 & 30 hour and MSHA certifications, certified 6G, stainless and certified structural welders, fabrication and machining equipment operation, tool handling, OSHA certified operators, certified riggers and proper steel erection techniques. Supervisory training has proven to build strong leadership within our ranks. The ability to train our team members in all aspects of our industry ensures that Mid-Land Enterprise will always supply our clients with highly trained professionals.